Trading in the worlds largest and the most liquid financial market is one of the best ways to earn money. If you know how, when, and what to trade, you can be sure that you can earn huge amounts of profit. It is a fact that a lot of people who traded in this financial market became successful although trading does come with risk. As a trader, you want to grab the opportunity to earn lots of money and of course, start a trading career in Forex. The Forex market, as mentioned before, is the largest and the most liquid financial market in the world. Unlike the stock market and other financial market, Forex has no centralized location as it operates 24 hours a day at different locations around the world, Monday to Friday. Trades in this financial market are done through Forex Brokers. 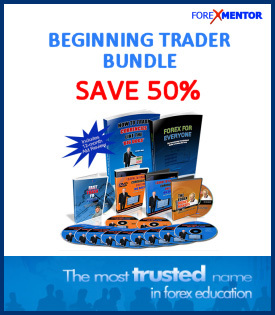 Forex trading, for a beginner trader, is simply the buying and selling of different currencies of the world. This may seem simple enough for everyone, but you should also consider that a lot of inexperienced traders and some experienced traders have suffered huge financial losses in Forex. Although Forex trading appears easy, it is in fact a skill that needs to be mastered. You should always keep in mind that aside from the fact that Forex can give you a great money-making potential, Forex also has equal risks. Therefore, before you enter this market and trade, you should first consider a few things in order for you be successful in this money making venture. First of all, you have to know how to trade currencies. In Forex trading, all you need is a personal computer with an active internet connection, a Forex account through a Broker and a Forex trading system. Start off with a "Demo" account so that you can practice without the risk of losing any funds. A Trading System - There hundreds of concepts out there that can be used. Find a simple and easy to understand strategy and practice it. Do not jump from strategy to strategy. One site I have spent quite a lot of time on is Free Forex trading strategies. One of the biggest things to come to grips with is developing Experience. These are commonly traded currency pairs in the Forex market. It is up to you to determine which currency pair you want to trade depending on market conditions. If you do it right, you can be sure that you can earn a substantial amount of income. The next and last thing you should consider is when you have to trade in the Forex market. Since the Forex market is open 24 hours a day, five days a week, you can trade whenever you like. Always remember that in all trades done in the financial market, you should expect to suffer some losses. You should be prepared to deal with it and accept it. The reality is that you will not win every trade. You need to develop discipline and trade to your trading strategy rules. There is NO "Holy Grail". One thing to avoid - NEVER get sucked into buying a "robot" system as they don't work. Most professional traders will recommend that you be in total control of all your trades.